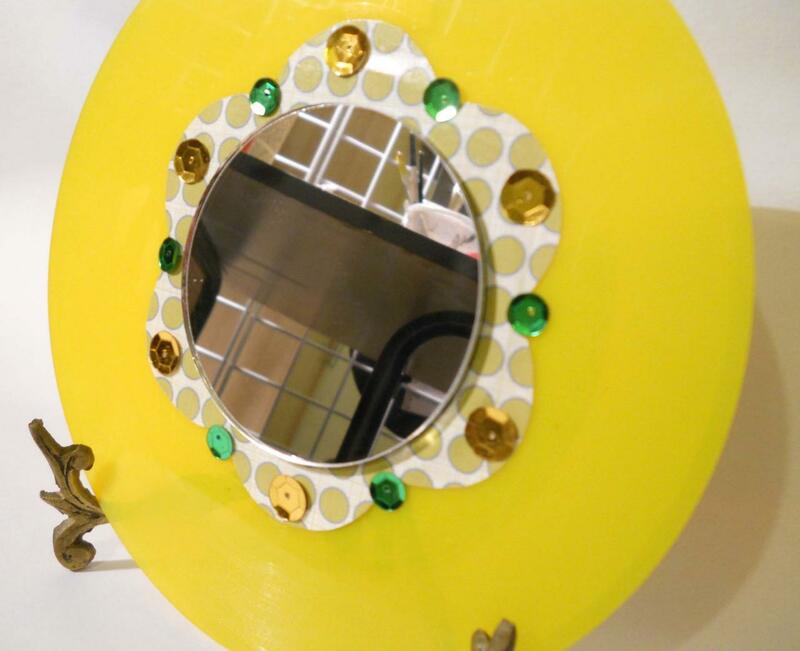 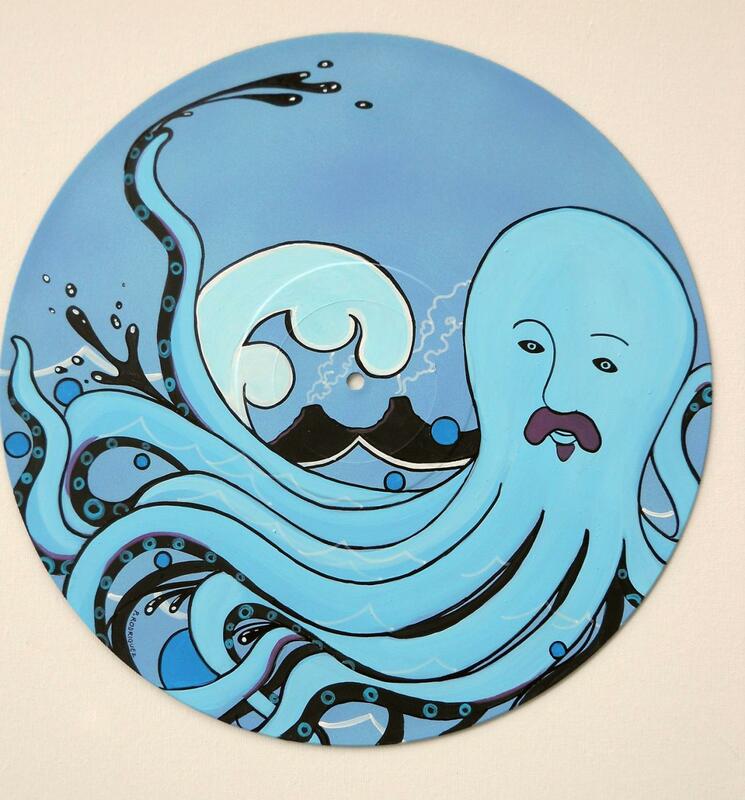 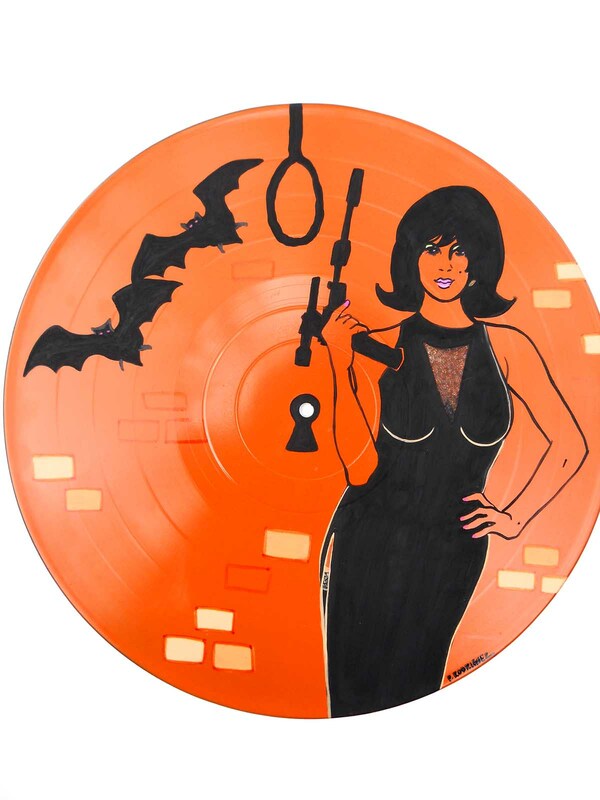 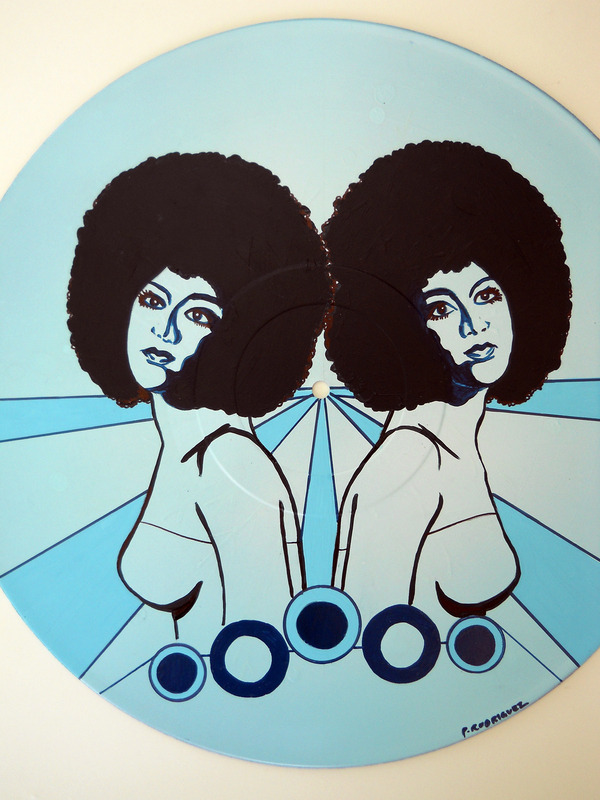 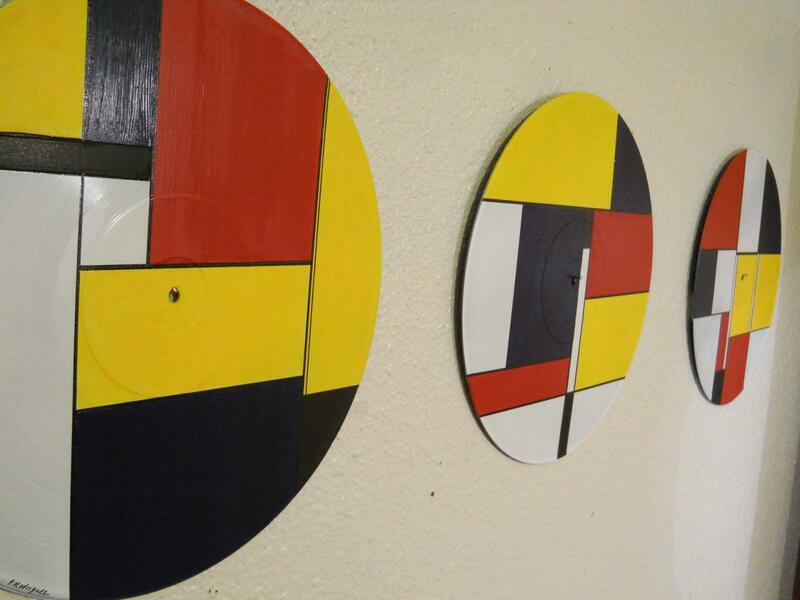 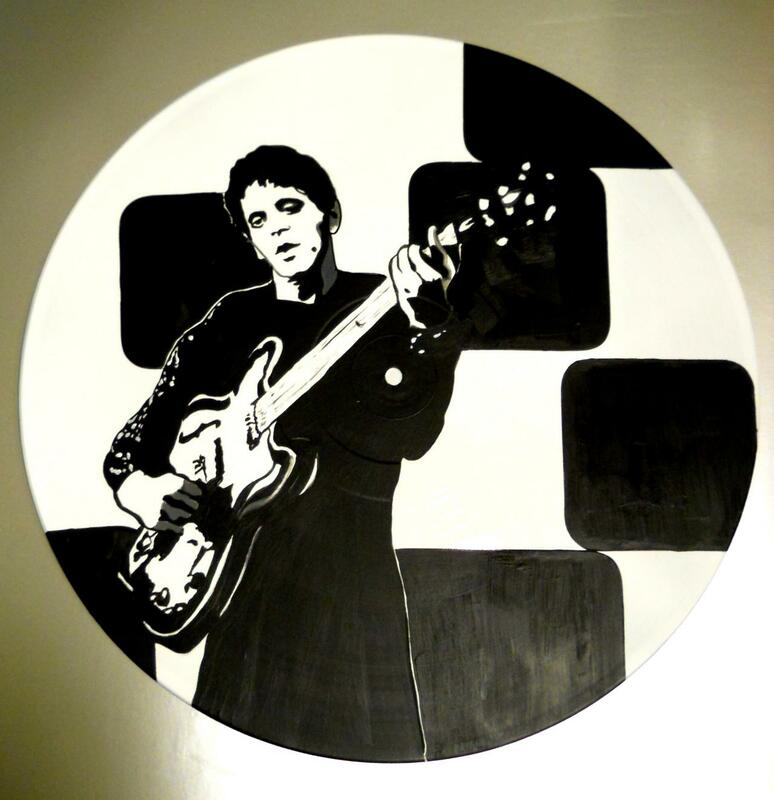 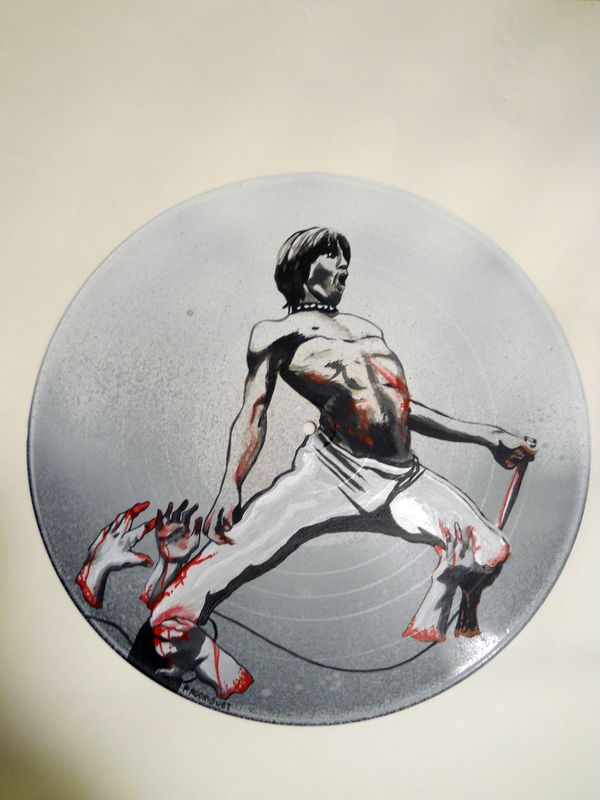 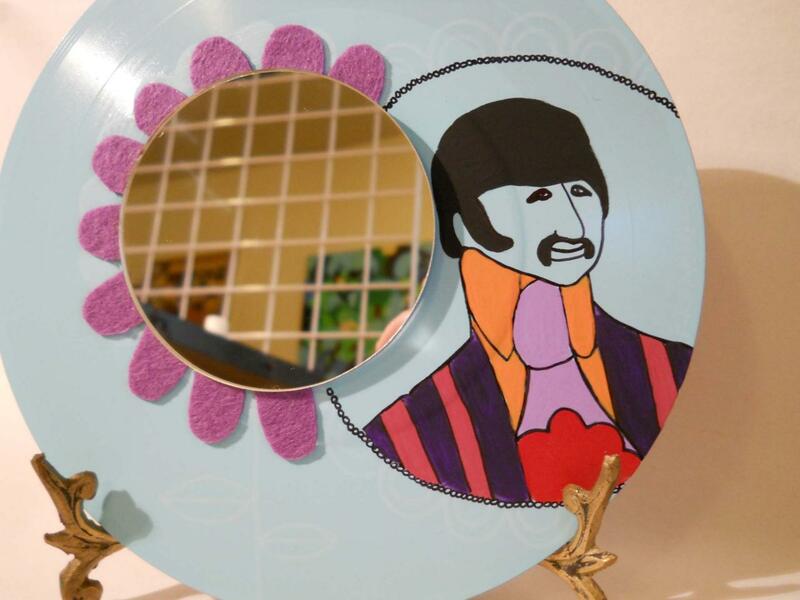 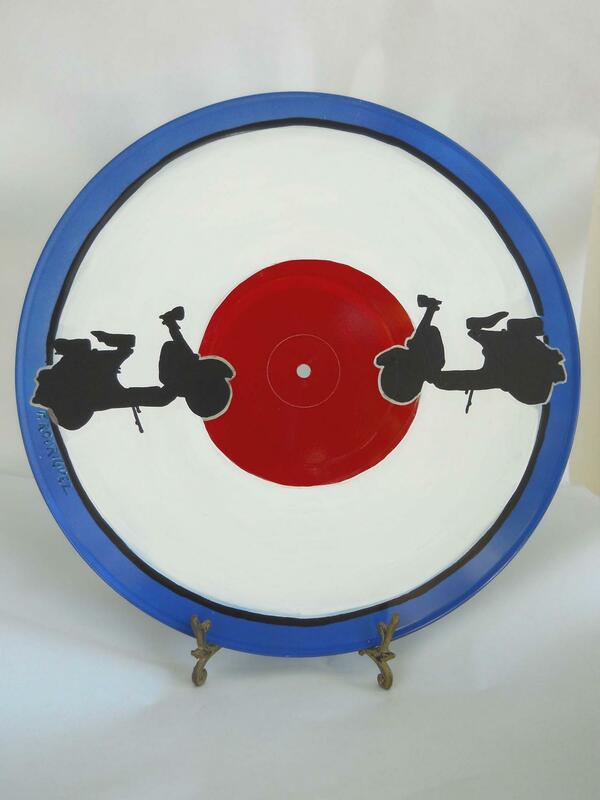 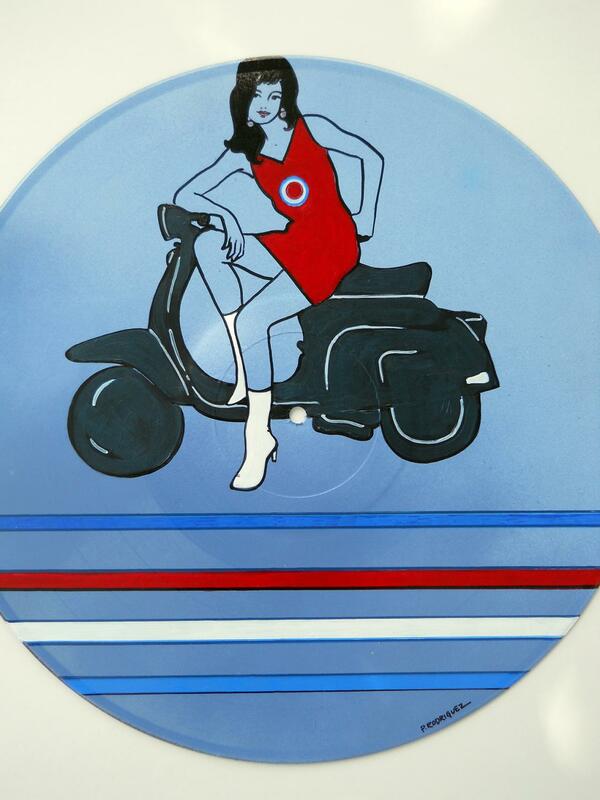 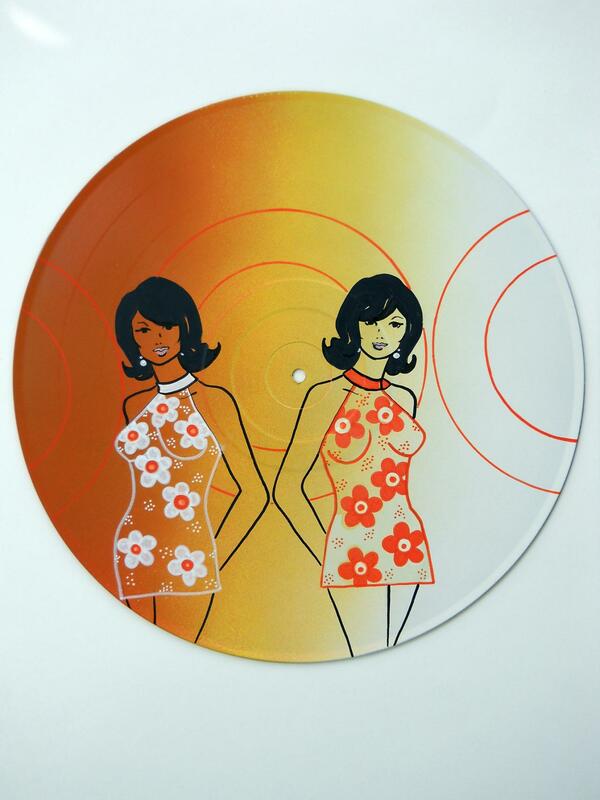 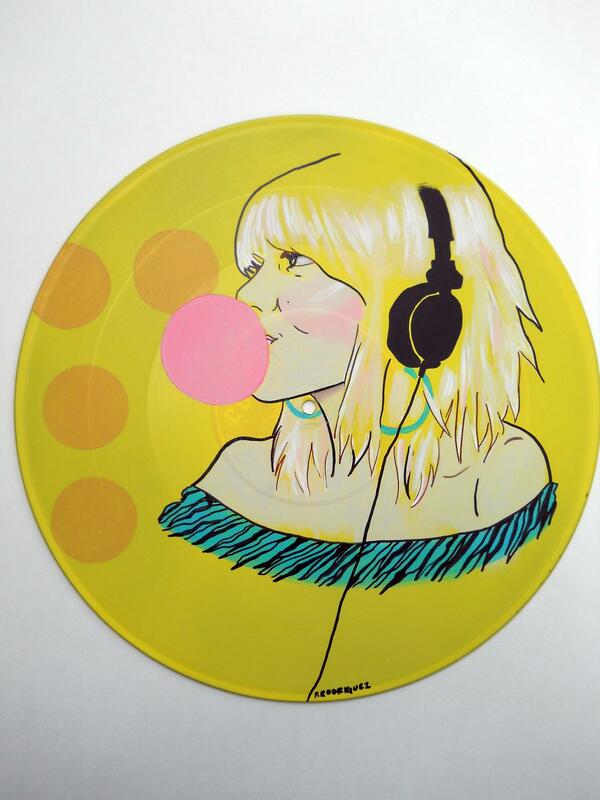 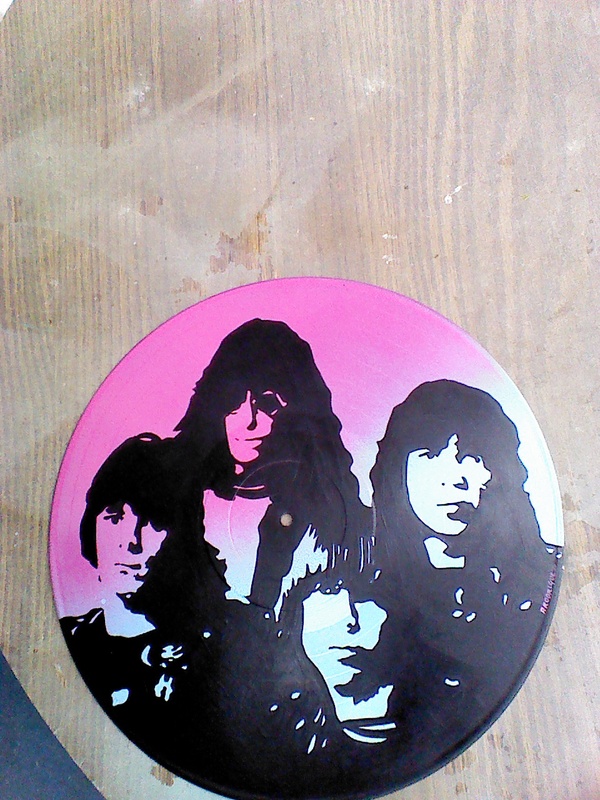 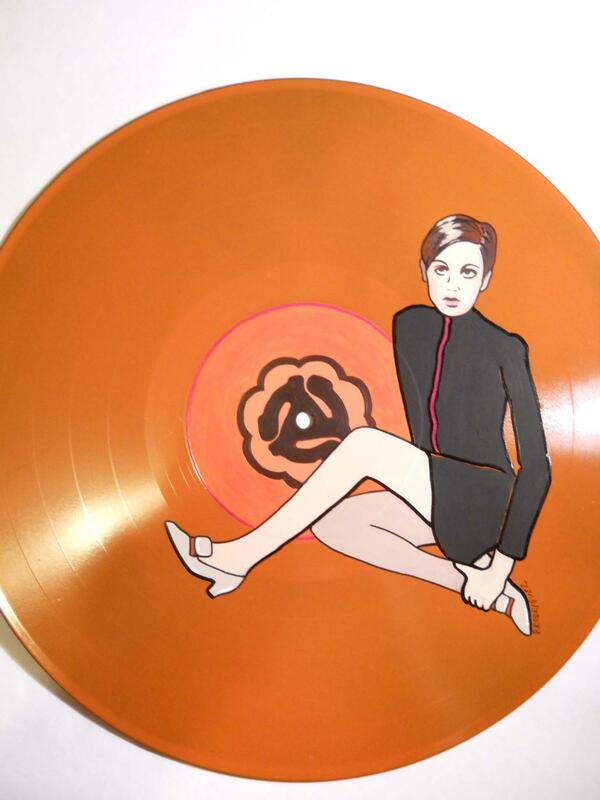 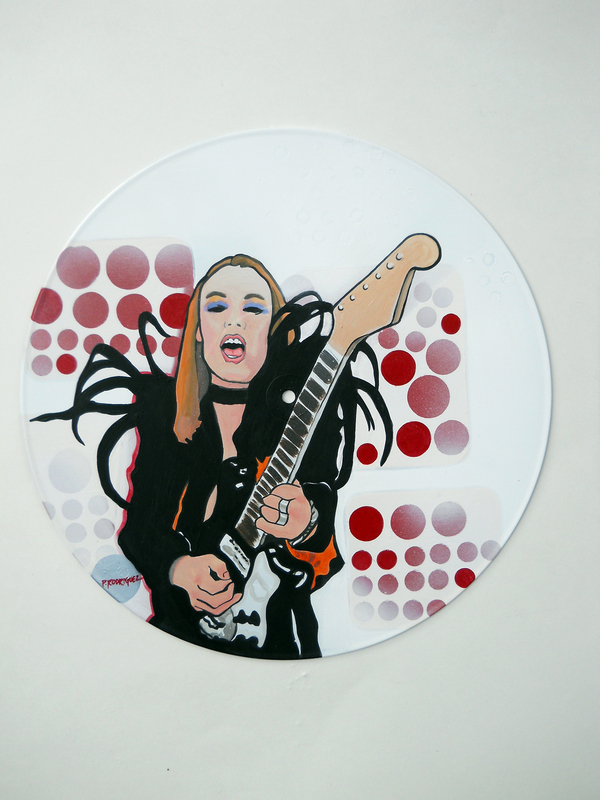 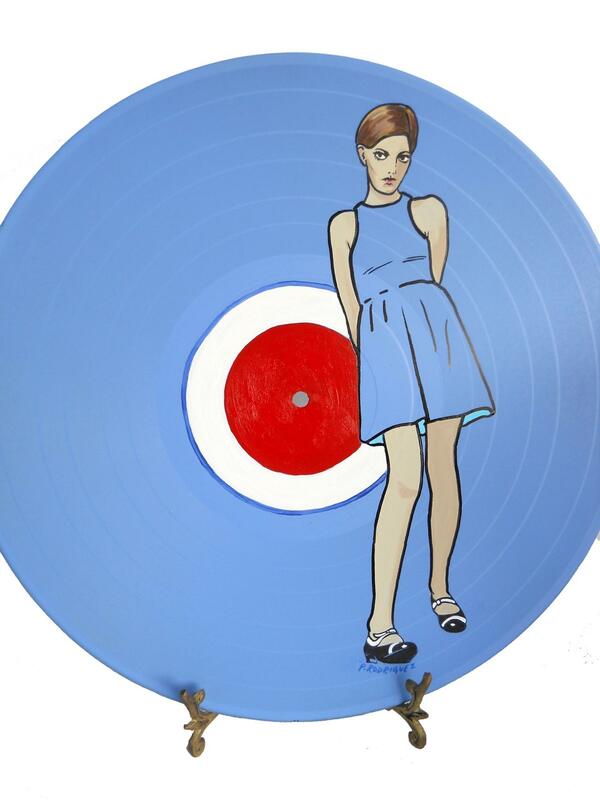 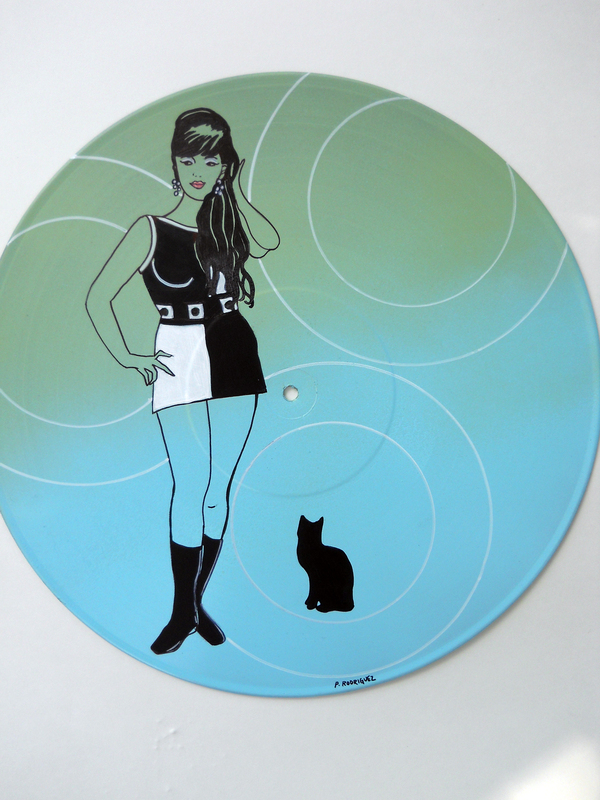 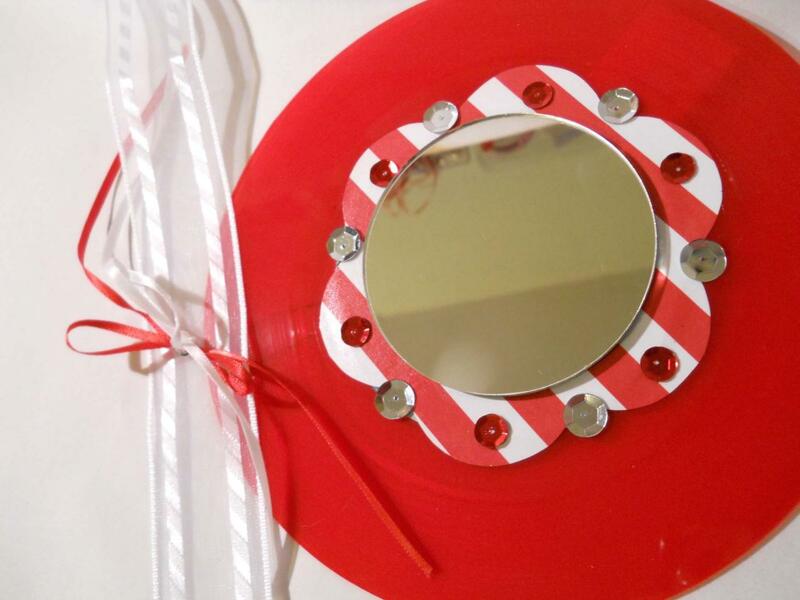 Old vinyl records get new life as art for your walls. 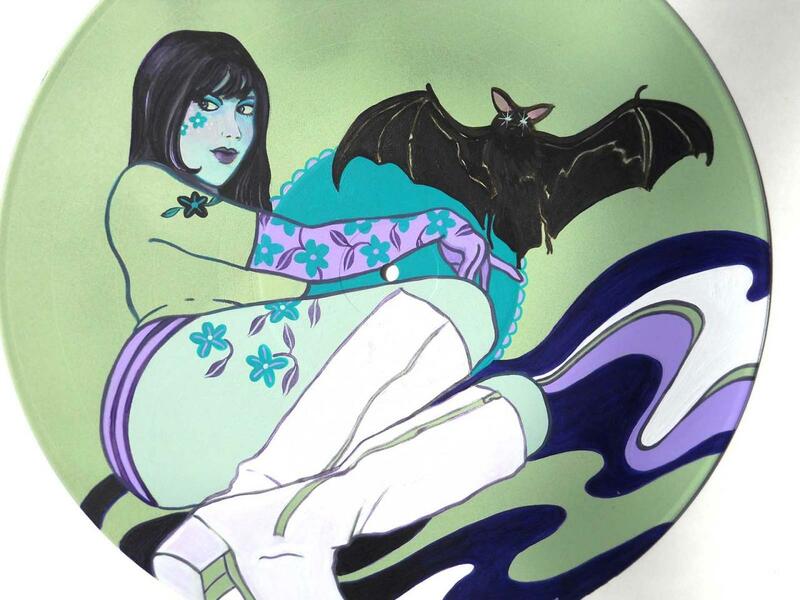 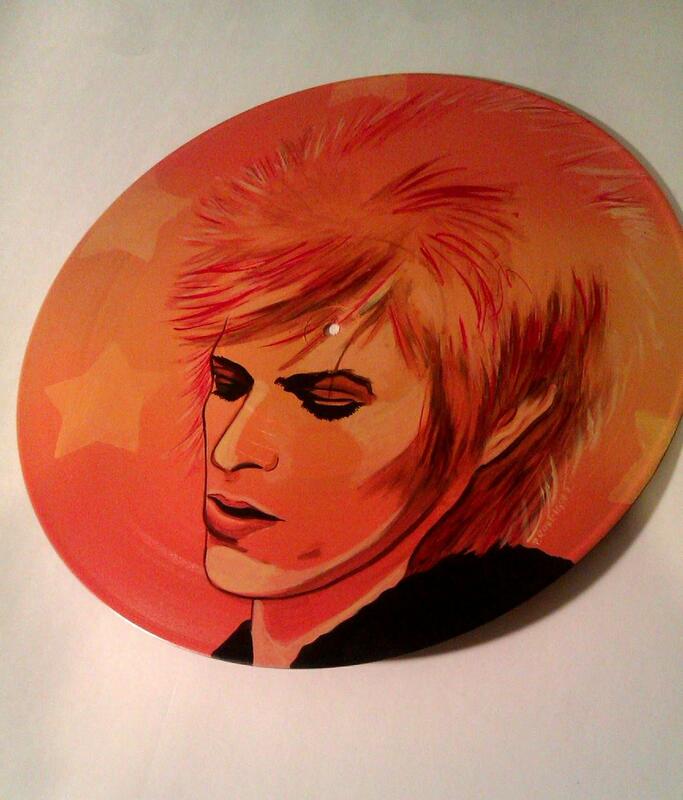 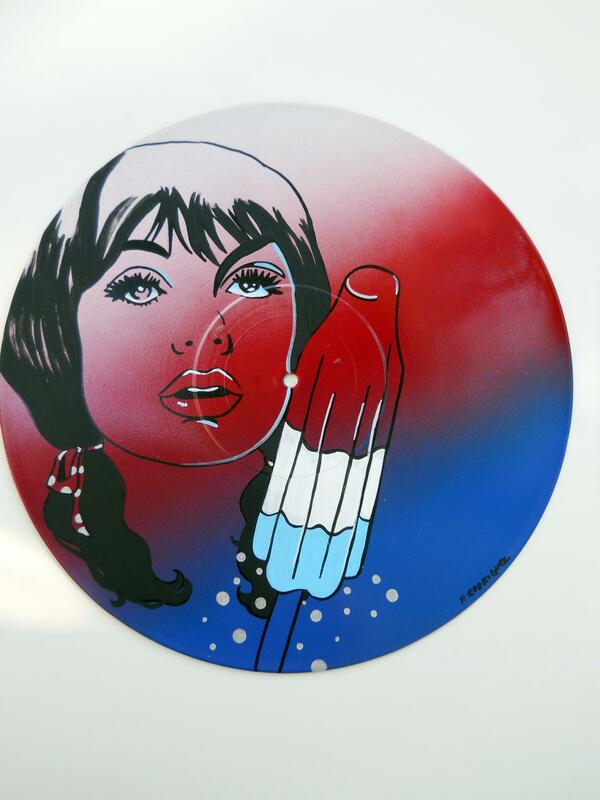 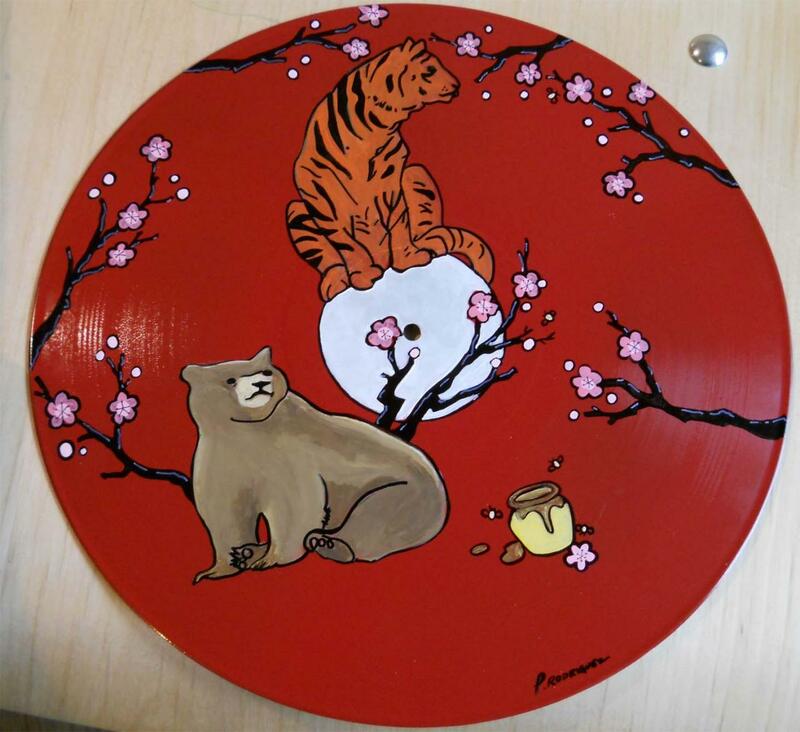 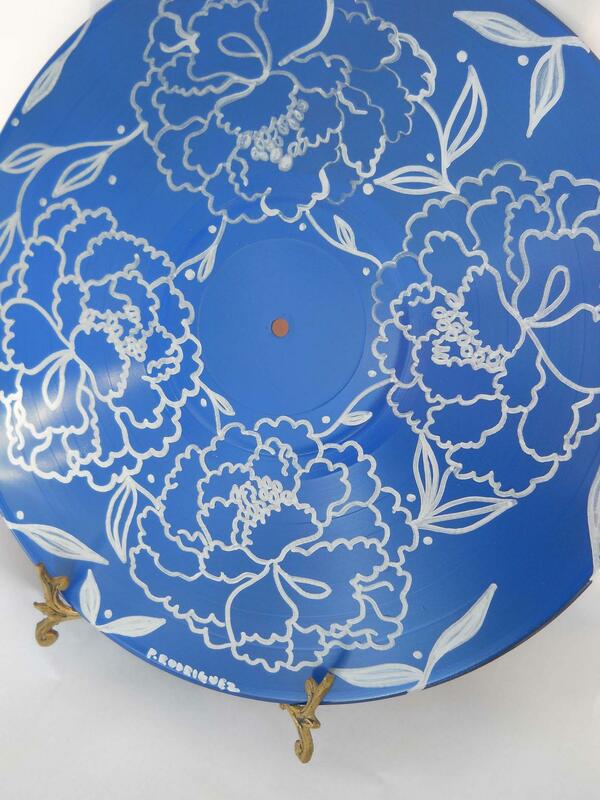 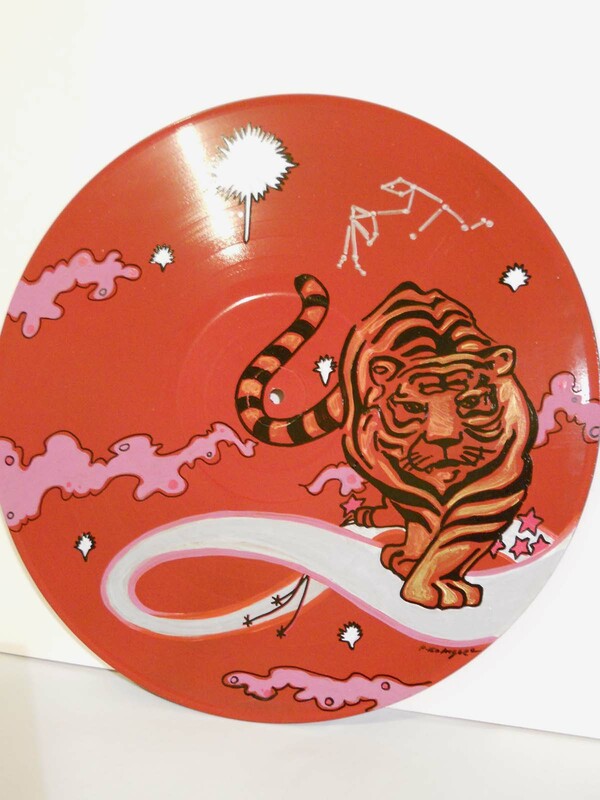 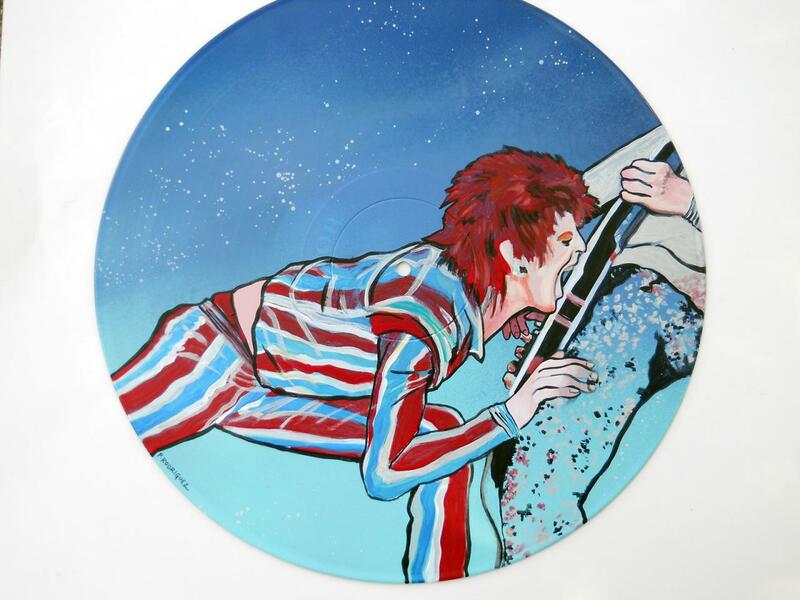 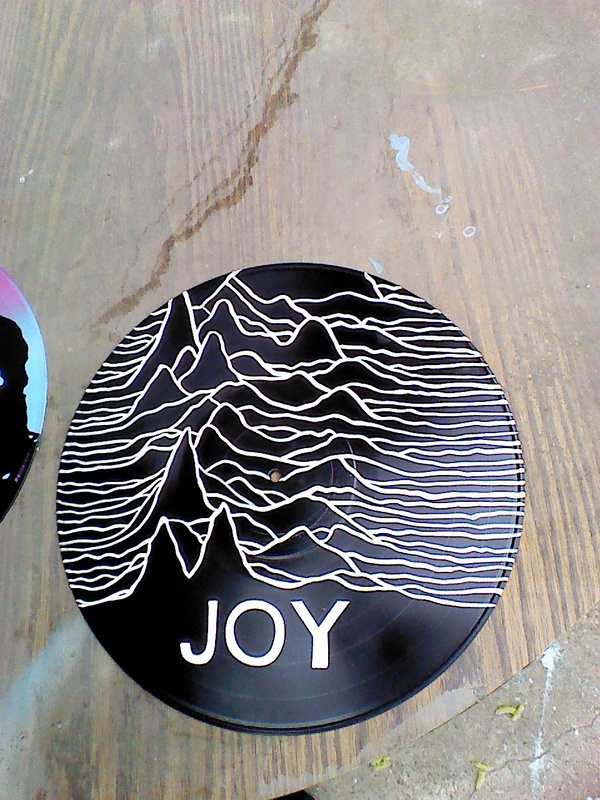 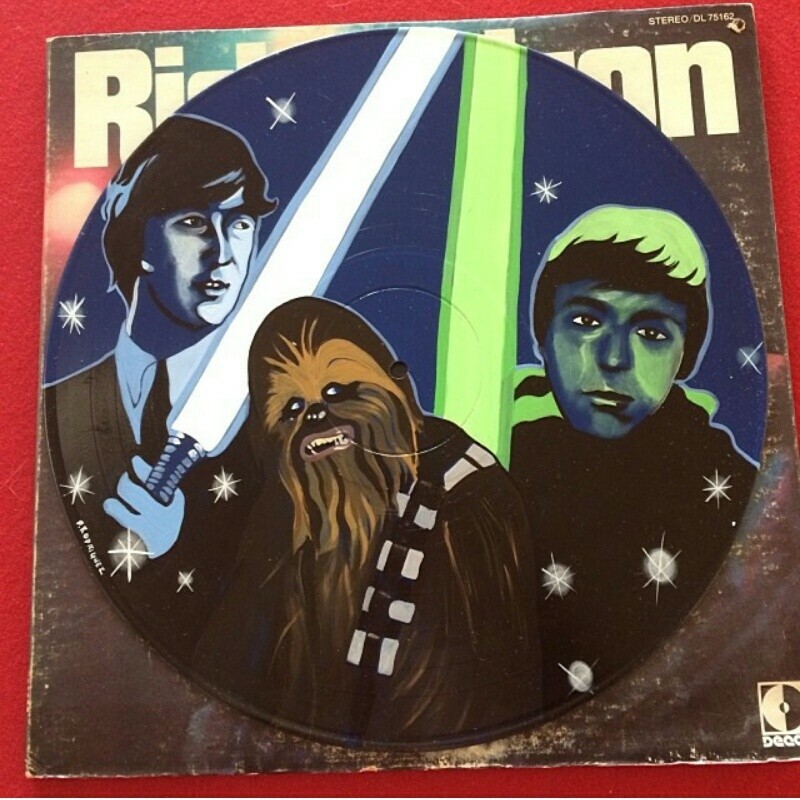 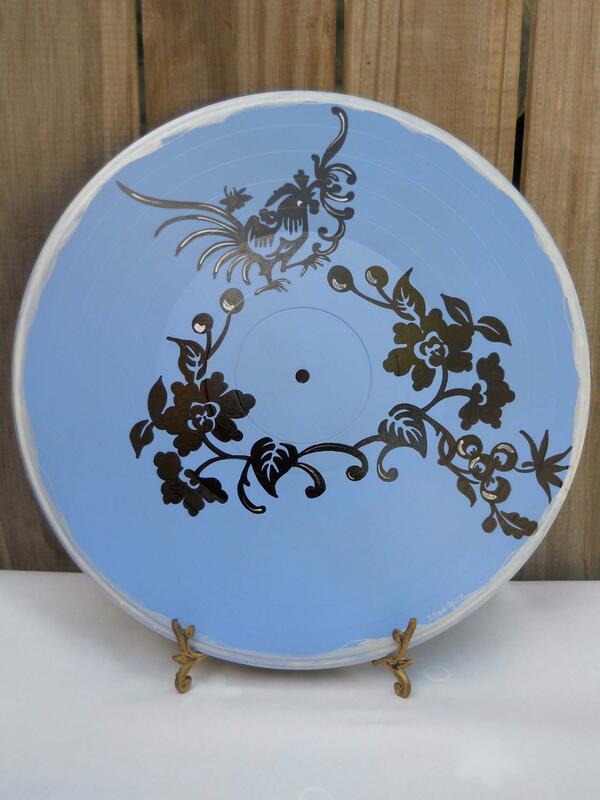 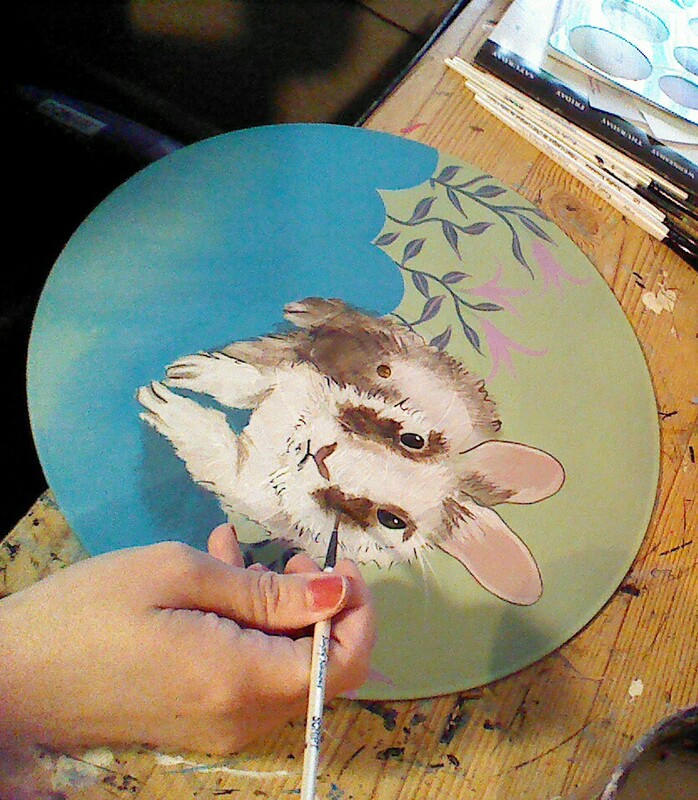 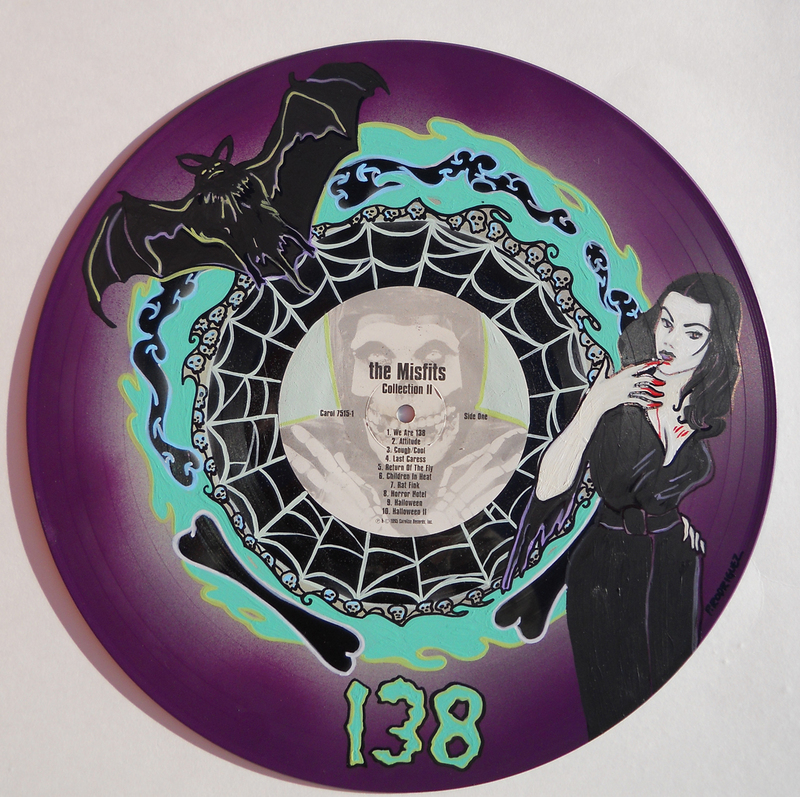 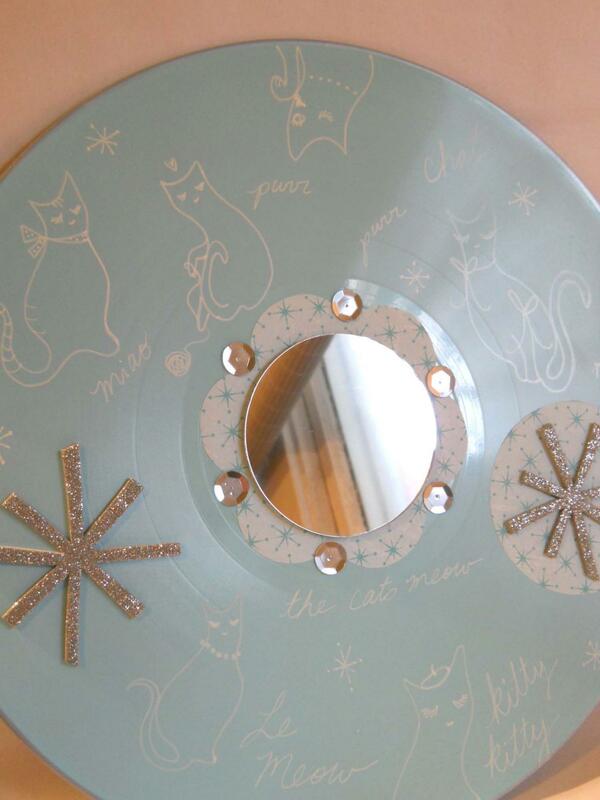 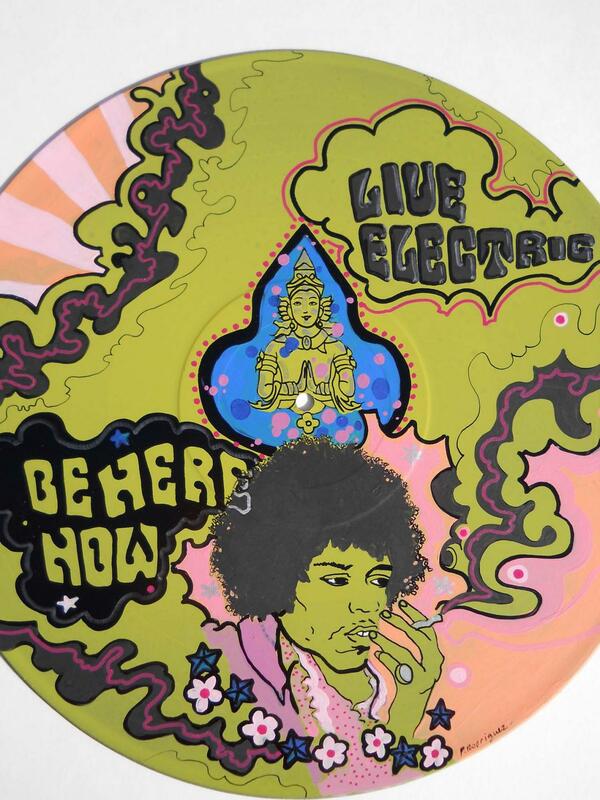 All records are hand-painted and come with a hanging fixture on the back that fits easily over a nail. 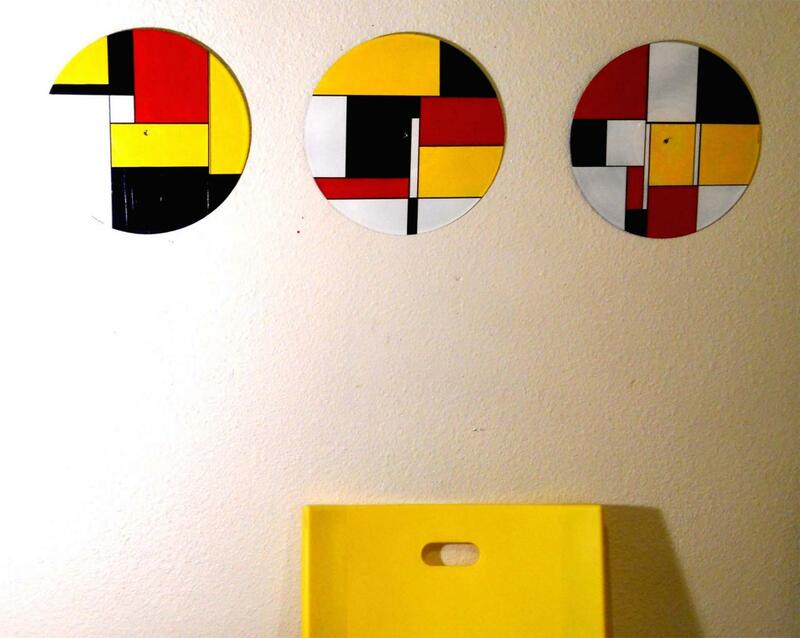 A wide variety of colors are available and you can even create your own "sets" of multiples for fun retro appeal to any wall. 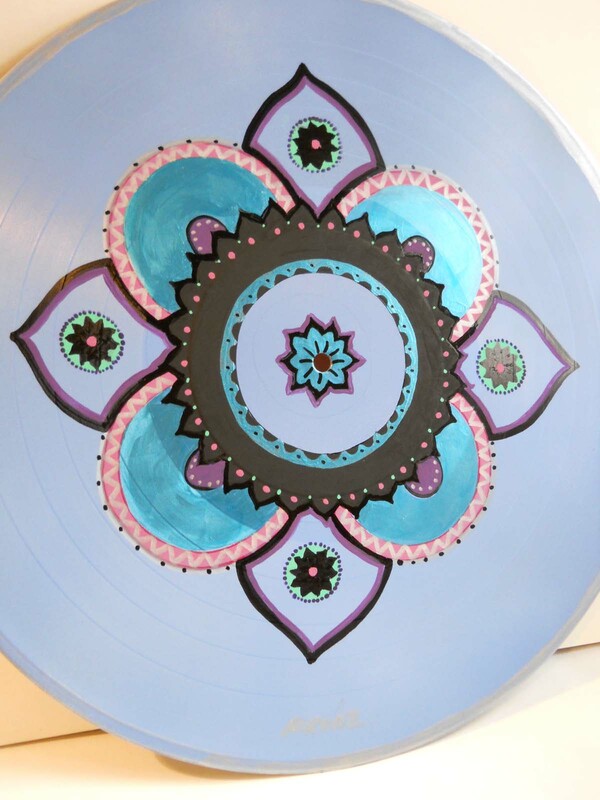 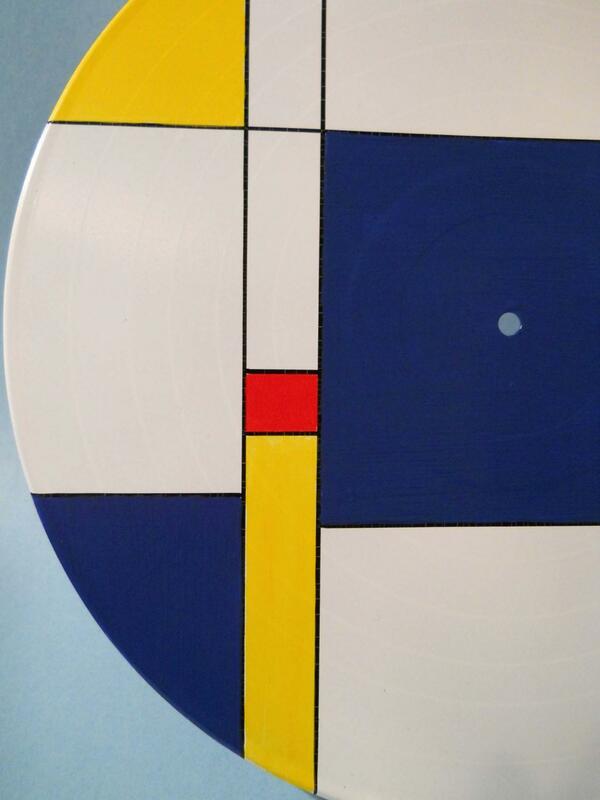 Looks great over your record player, in your listening room or anywhere you need a pop of color! 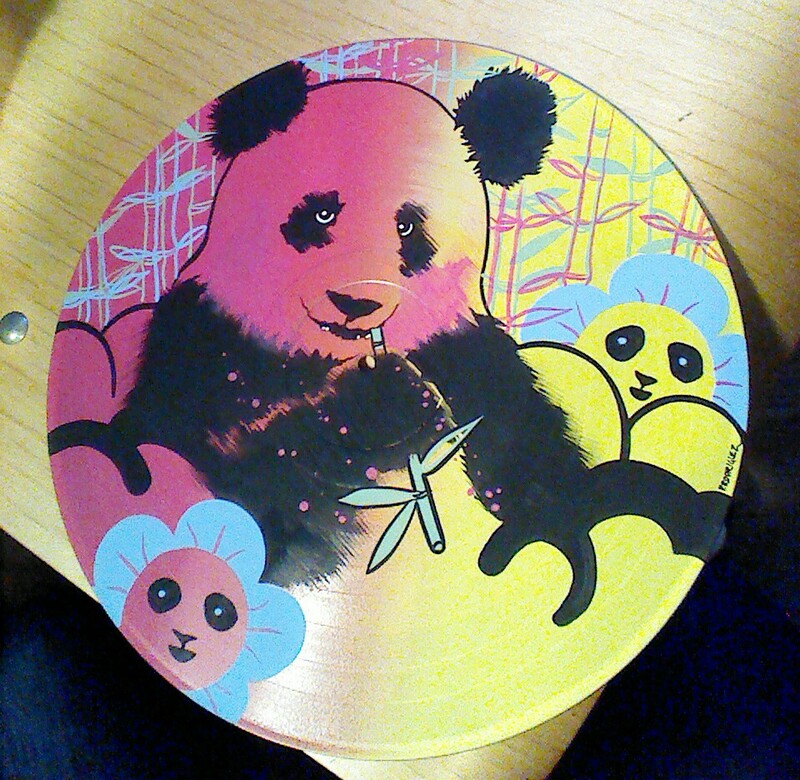 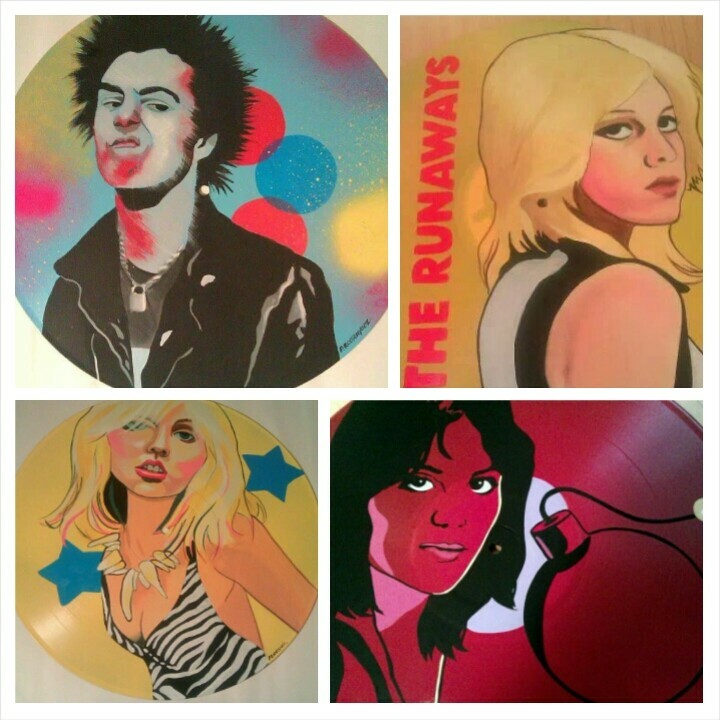 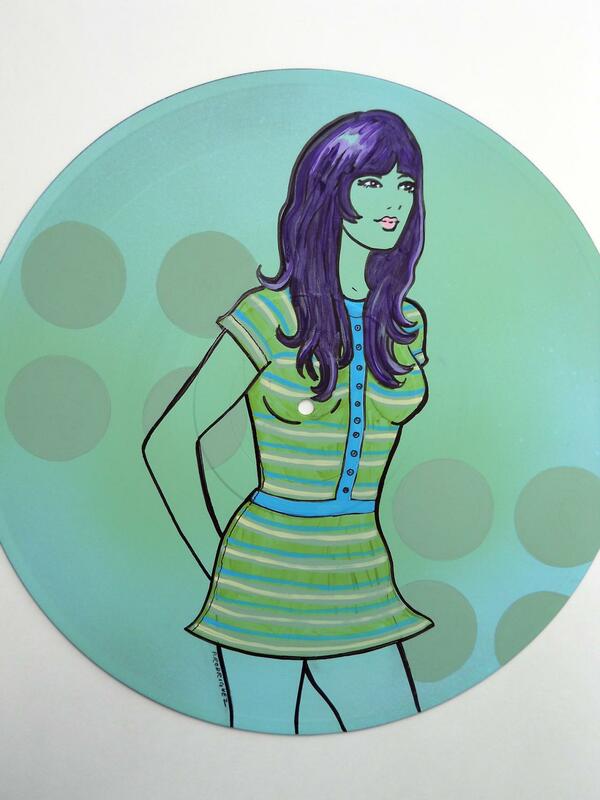 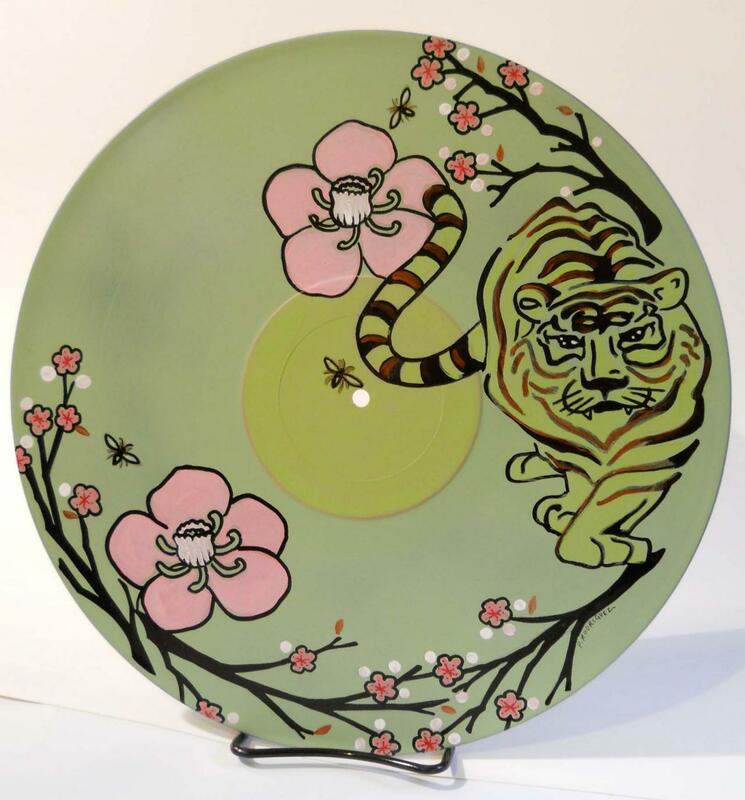 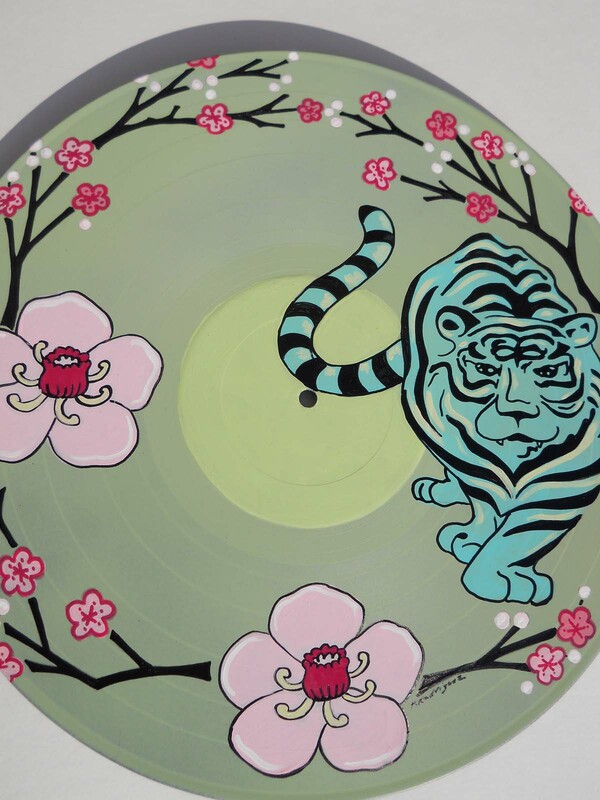 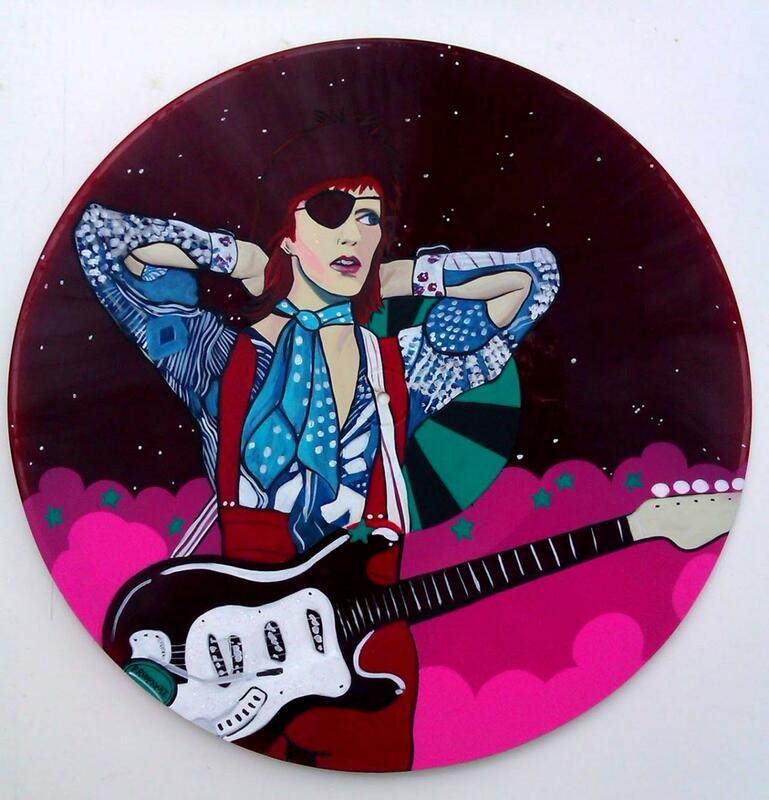 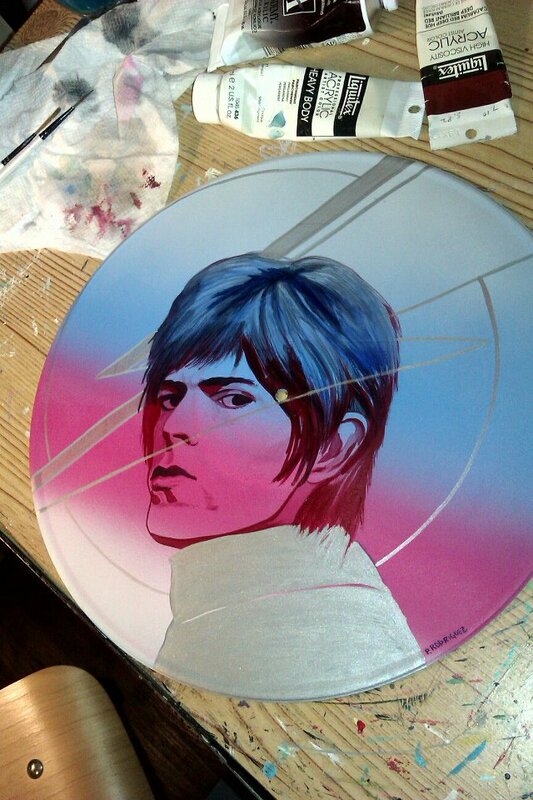 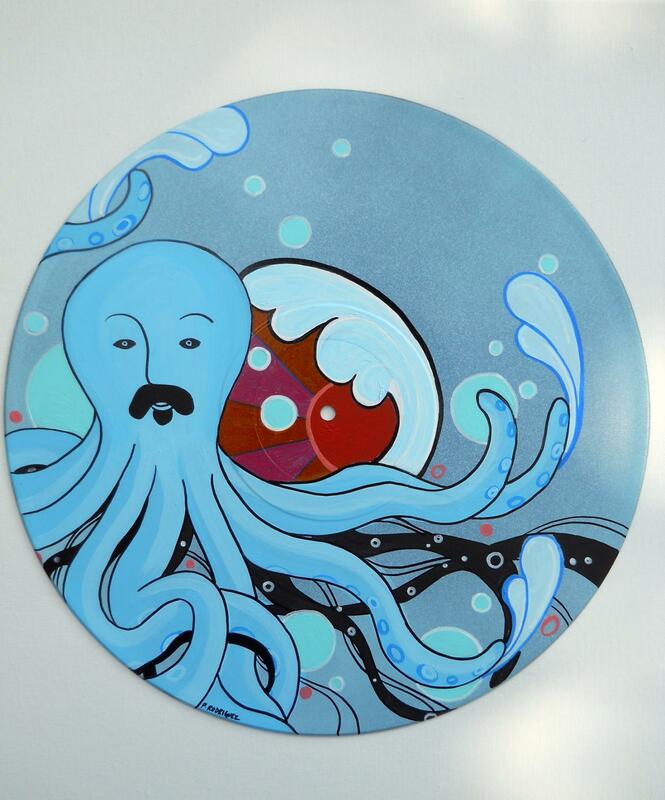 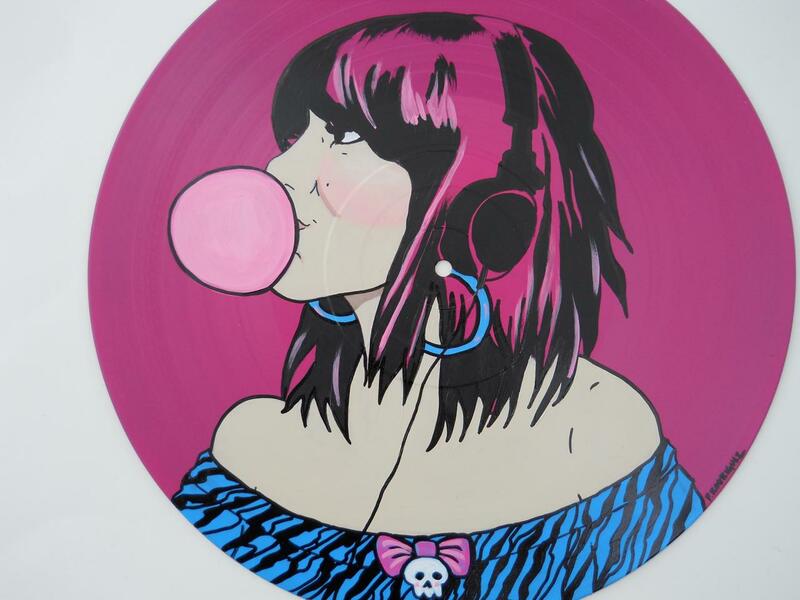 VINYL GALLERY 3 has the most recent vibrant works! 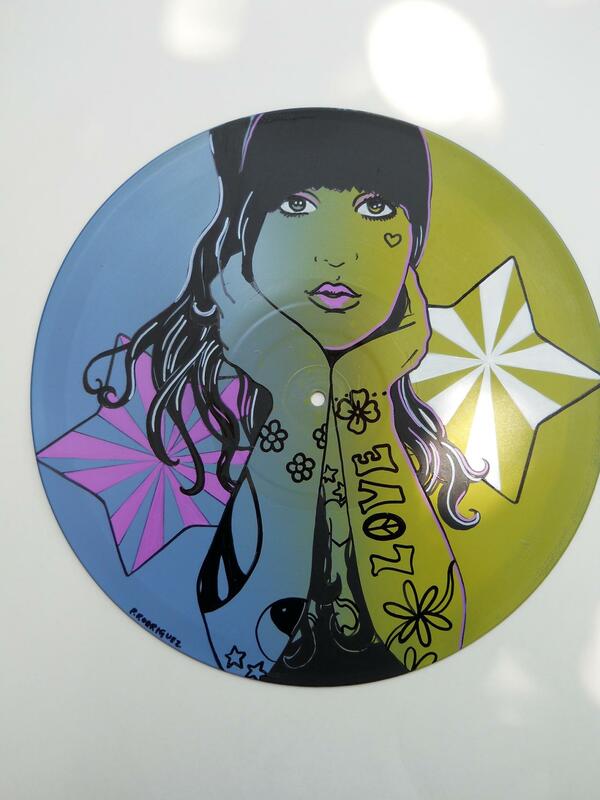 Records range in price from $60- upwards depending on style. 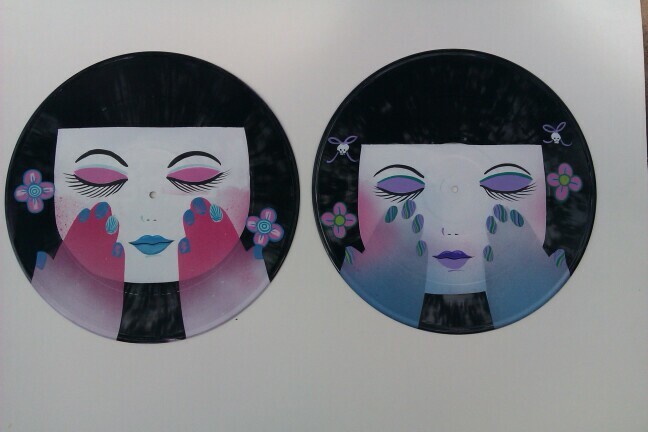 I can also do 45's, mirrors and mandalas. 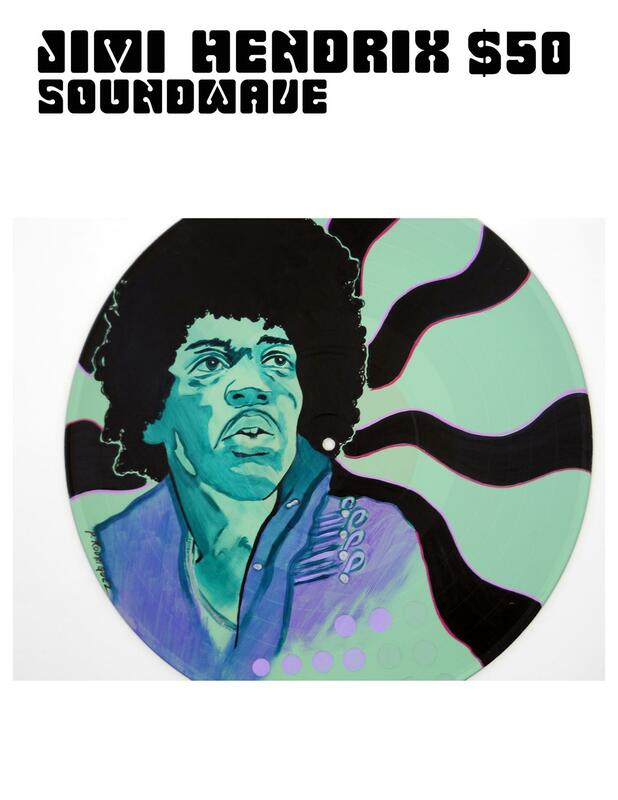 Contact me for any questions! 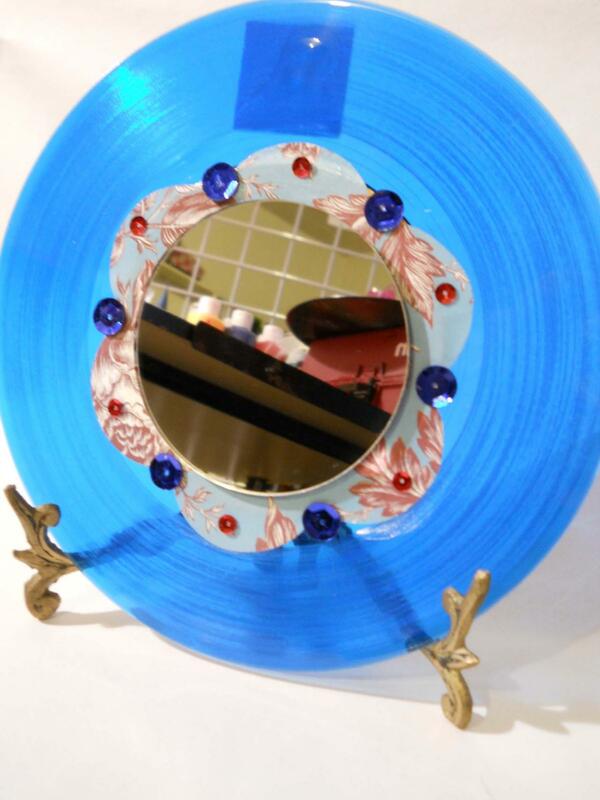 Why records? 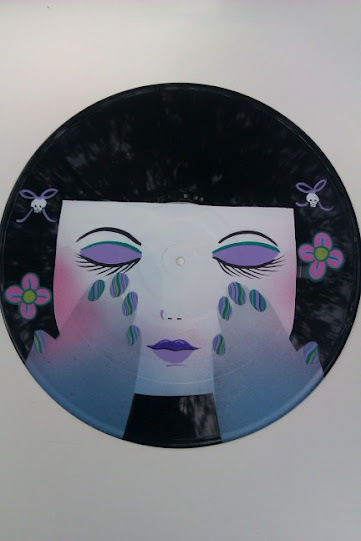 Unfortunately there are a lot of bad records out there and a lot of records are no longer playable due to wear, tear and scratches. 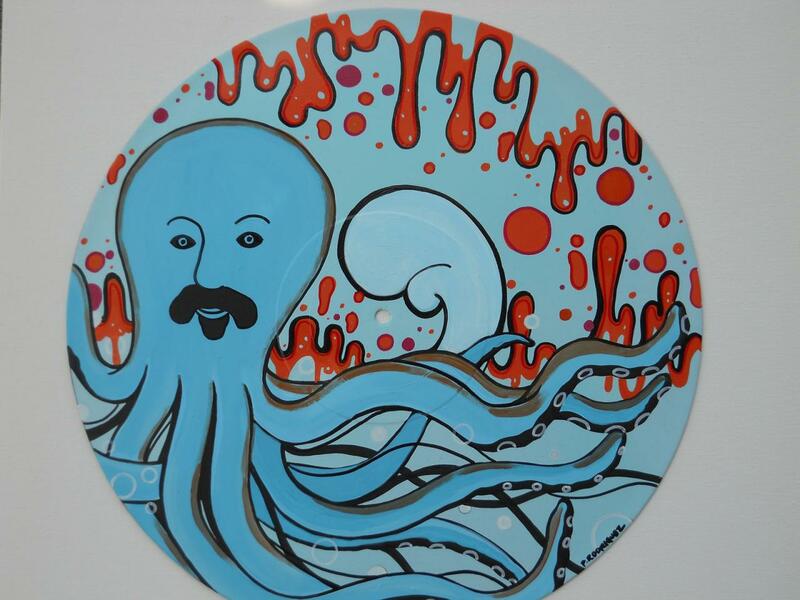 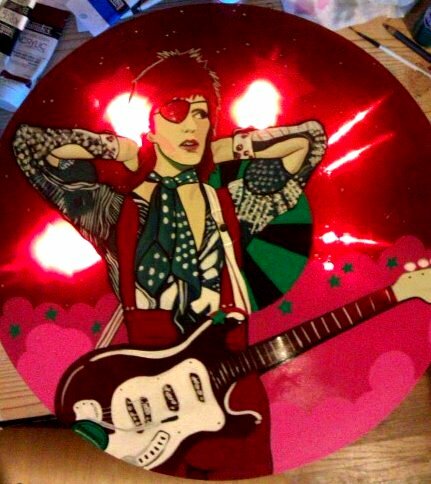 I recycle this medium into fun art pieces. 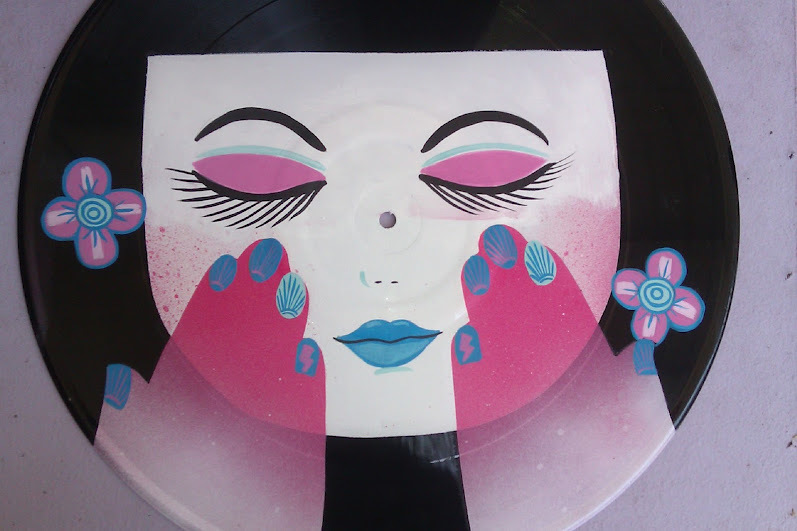 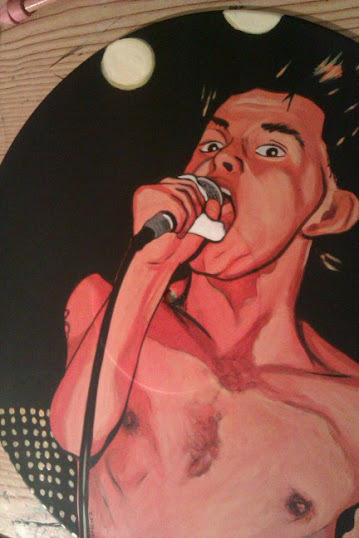 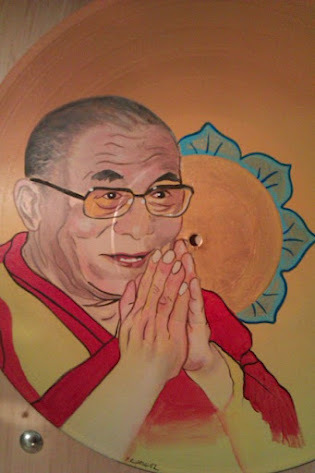 I discovered the joy of painting on records when I ran out of canvas and got creative with looking for materials around my home to paint on. 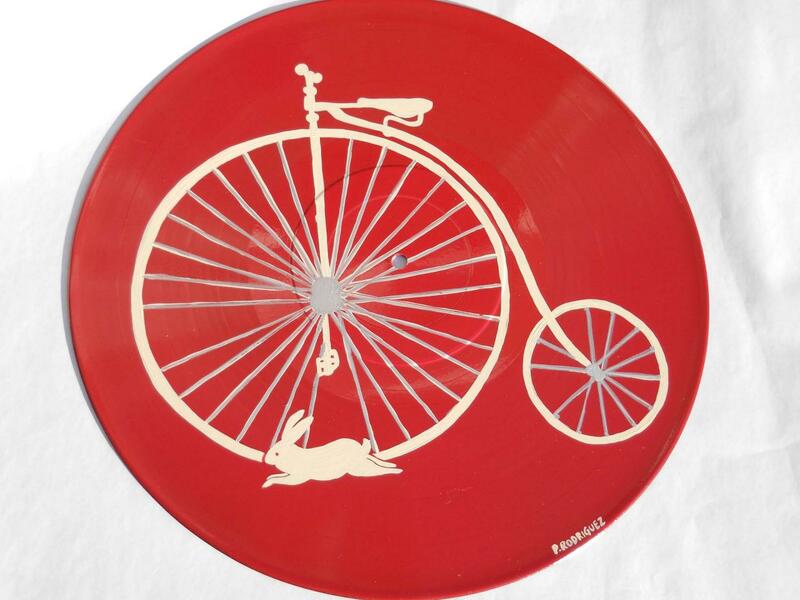 Want to order a record or carry some in your store? 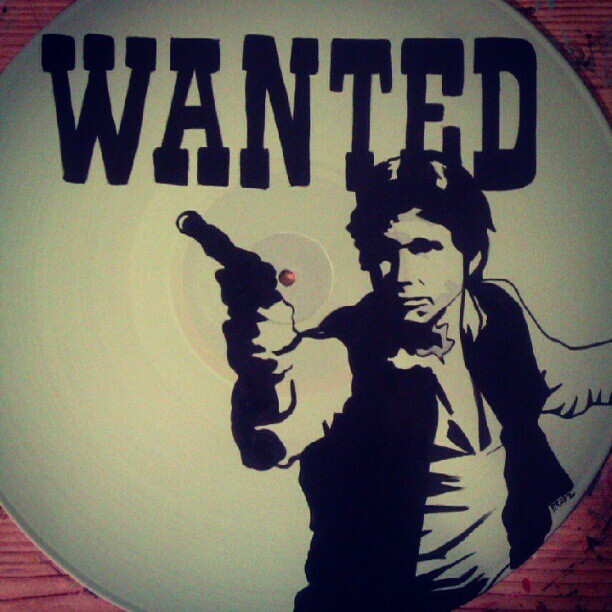 Drop me a line, I'm happy to help!